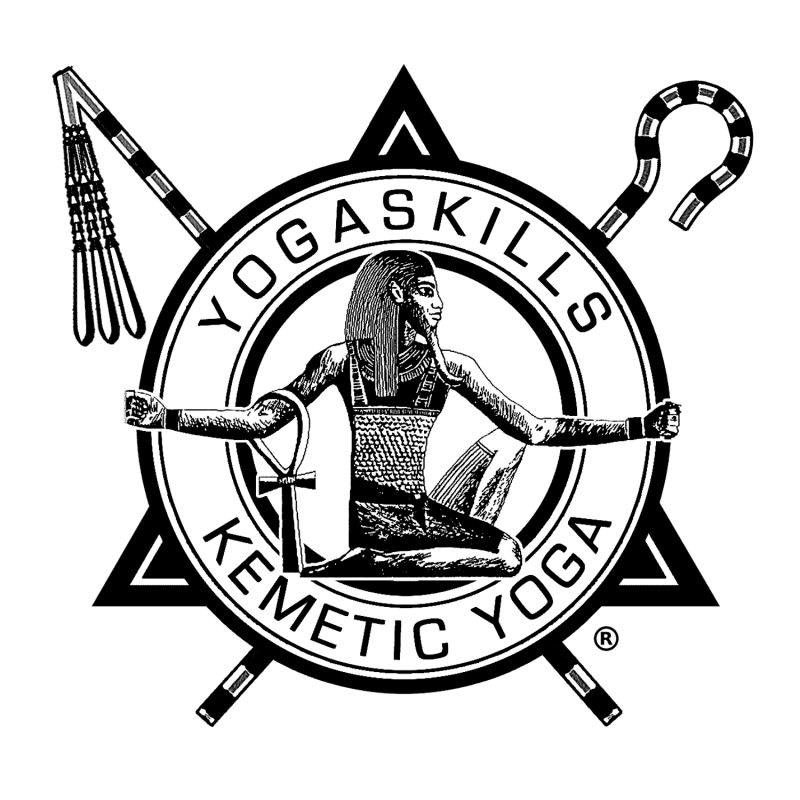 The philosophic principals of Kemetic Yoga™ places emphasis on the rejuvenation of the entire body and mind, and not just the physical development of outer muscles and flexibility. Kemetic Yoga™ teaches you the skill to ease yourself into a posture as opposed to forcing yourself into it. Most importantly, Kemetic Yoga™ emphasizes control of the breath. The breath is the life force, and we use the breath to “flow” through the movements from one posture to the next. Each series of movements takes you into the posture in the correct order and brings you out of the posture in the correct order. Nothing is left to chance or is haphazard. This form of movement is in tune with the body’s natural anatomy. It systematically works through every joint and muscle group to develops alignment, corrects body defects and energizes the organs. While the Kemetic Yoga™ postures are unique in themselves, this style of movement can be applied to all yoga systems, whether it’s the various forms of Indian yoga or ancient Kemetic Yoga™. This system is slower and more methodical than the traditional methods of Yoga. By slowing down the movements, we put more emphasis on developing the Yoga skills of patience and concentration. Yoga works as therapy on various levels of human development. On one level it provides a total sense of well-being and personal empowerment that allows any individual the ability to become self-actualized. This means that one has the energy, mental clarity and discipline needed to direct their actions towards the goals they set for themselves. The word Yoga literally means control. When we do not have control over our thoughts and behaviors, we become unhappy and out of balance. Lack of control over one’s thoughts is related to the definition of insanity. Once we incorporate the philosophic principals of Kemetic Yoga™ into our daily lives, not only do we learn how to control our thoughts and relaxation techniques, but we train our bodies not to respond to stress or stressful situations.